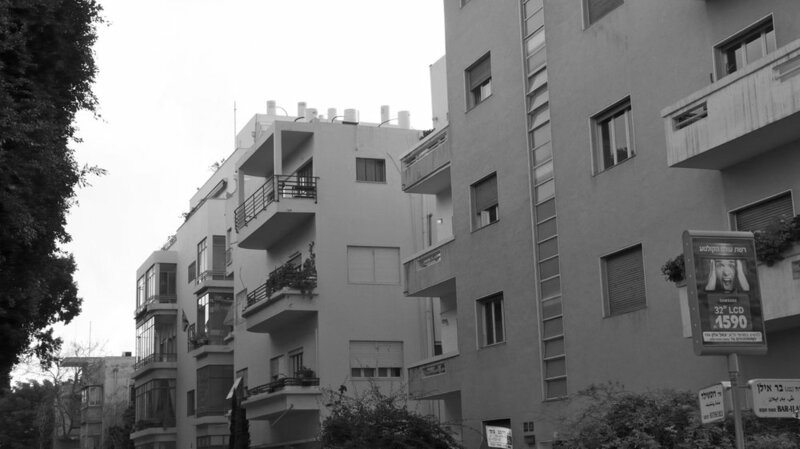 The trajectory of my interest in examining the modernist architecture of Tel Aviv springs from the photographic project URBAN FLUX which began as a study of L.A. architecture and urbanization and continues internationally with many cities. 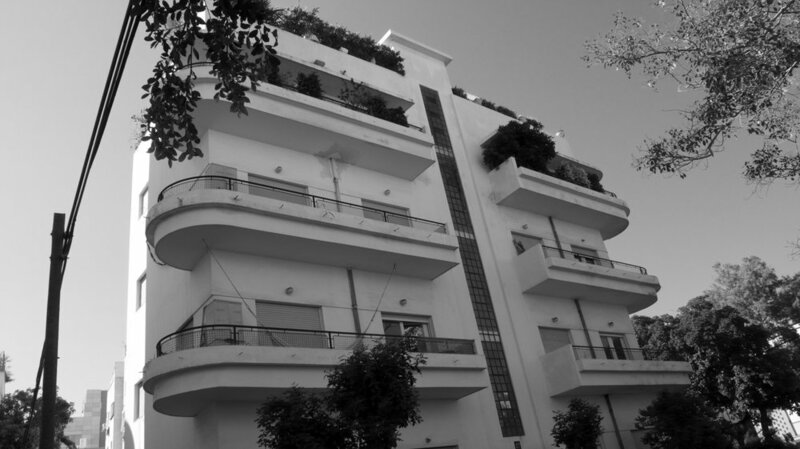 The presence of an extraordinary trove of modernist buildings, one of the great results of the “Bauhaus diaspora,” which amazingly had only fairly recently been appreciated within the country or recognized internationally, led me to see it and explore the history. It represents a compelling, complex urban architectural story. 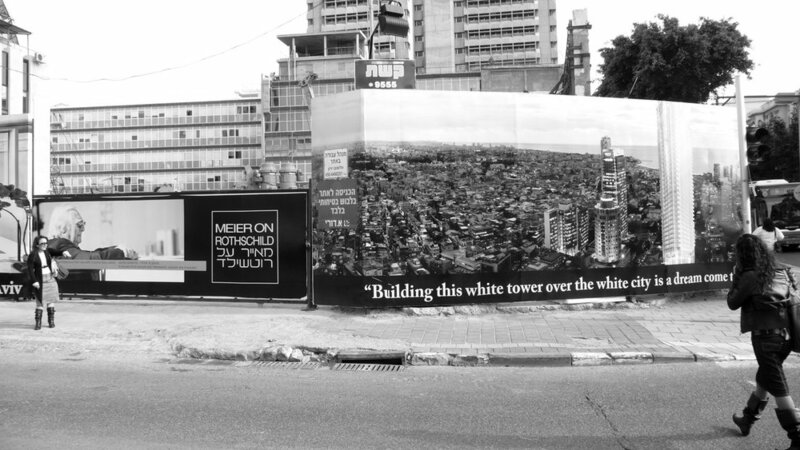 The White City is a place where the irony of the architectural debate that questions the viability of landmark designations regarding restoration is understood as it faces economic and social problems while featuring a Bauhaus Center. Returning to L.A., it is impossible to resist imagining a Bauhaus district on the scale of The White City here. 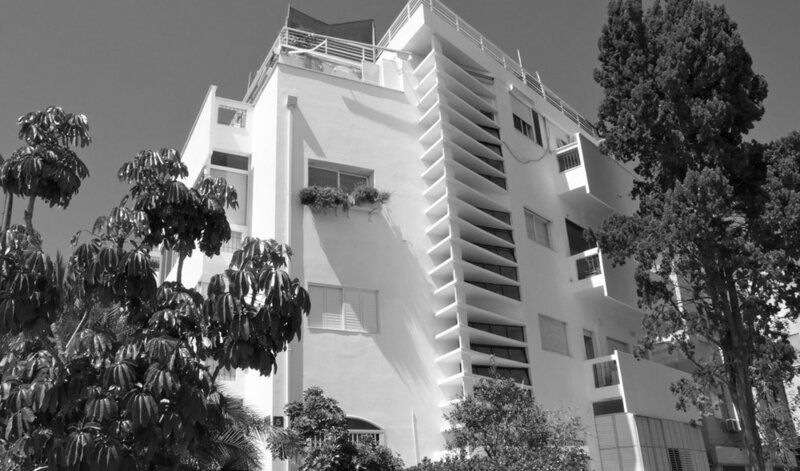 Emigre architect Richard Neutra, with his close ties to the Bauhaus, and partner Rudolf Schindler, tried to realize a Hollywood project of modernist apartment buildings that resulted in only one prototype, The Jardinette 1927, that stands in the middle of California mediterranean architecture. This represents only one L.A. modernist plan of many that failed- yet another compelling perspective to marvel at the striking reality of The White City.